Treat yourself to something special and support education projects in Mali at the same time! In the Häuser der Hoffnung e.V. online shop you can order Malibelle Shea Body Butter with different scents and also in a gift bag. The rich shea body butter by Malibelle is suitable for normal to dry skin and is quickly absorbed thanks to its delicate texture. It can be used as a body or hand cream, has a naturally soothing and smoothing effect, particularly on sensitive and irritated skin, and makes the skin feel soft and supple. In addition to the subtle, cool “Aqua” classic, it is now also available with a refreshingly spicy “lemon grass” fragrance. The shea butter used as an ingredient for Malibelle Body Butter is produced at the Häuser der Hoffnung manufactory in Siokoro. The manufactory is operated by the Jigiya Bon Siokoro cooperative founded by Häuser der Hoffnung together with three Malian associations. The sales proceeds are utilized to promote education and training projects in Mali. In November 2012, Häuser der Hoffnung e.V. and the natural cosmetics manufacturer Börlind GmbH were jointly awarded the Innovation Award for Political Education in Developing Countries for this project by the German Federal Ministry for Economic Cooperation. The shea butter from Siokoro is certified to Ecocert criteria for certified organic production. 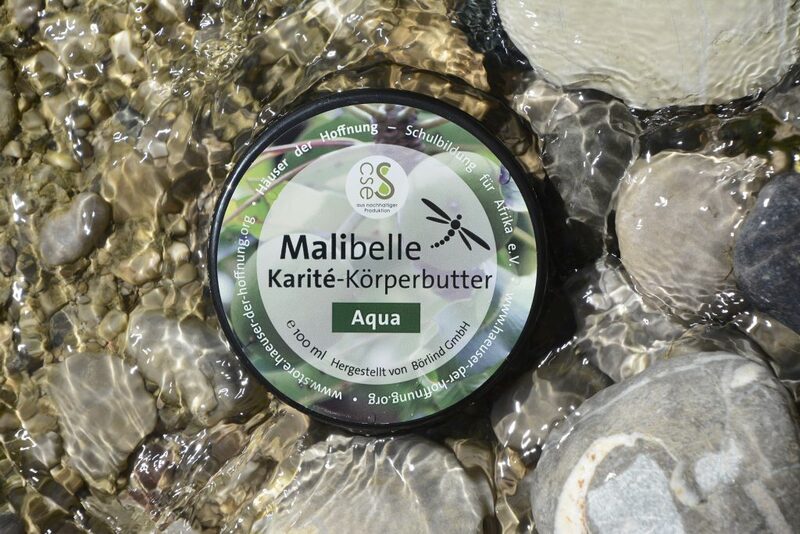 It is produced to the highest socio-ecological standards by natural cosmetics manufacturer Börlind GmbH.